Backup of WordPress site via Amazon S3 plugin is all-in-one solution for WordPress backup, restoration and cloning. This plugin helps you to manage the above processes in a secure, easy, and reliable way on a scheduled or on-demand basis. Amazon S3 the secure location for your data, they promise to keep your data safe and they dont use your personal data to put ads. You can access your files without being online, which means you can always have your most important files with you. 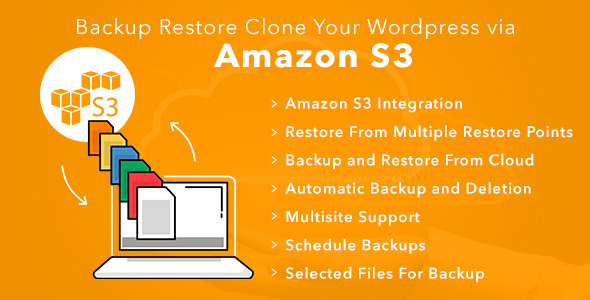 Backup Restore Clone your WordPress via Amazon S3 help to make the whole site is backup along with database on the local server. It also displays total size of total local backup and number of restore points created. In quick backup, only the files which are modified after the last backup will be consider for backup. You can download your wordpress site in .zip format and database in .sql format. 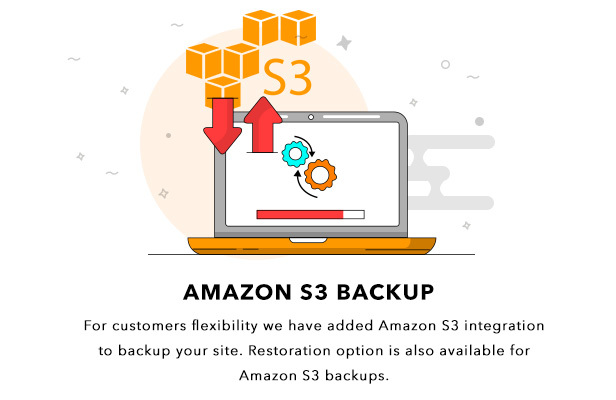 Your backup can also be uploaded on your Amazon S3 account the only thing you need to do is provide the correct credentials. A notification email is sent to admin regarding the disk space available on the server, due to this site owner is aware of Disk space available on the server. Setting enables to delete backup automatically after a scheduled time or after specific numbers of backups. This saves site owner time from removing old backup as well as relief from headache of Server’s Disk Space issue. Settings where Amazon S3 API details need to enter and ready for data storage and restoration process. On Recursive deletion or interval deletion this feature will help when you need to delete backups on some pre planned schedule. It is the type of backup i.e. on which server backup is taken(Local, Amazon S3). Thank-you for your interest in Backup Restore Clone Your WordPress via Amazon S3, Makewebbetter.